This week, 40 more Northern New York healthcare workers, Home Health Aides (HHAs) at Samaritan Summit Village in Watertown, voted to assert their collective strength and become members of 1199SEIU United Healthcare Workers East. 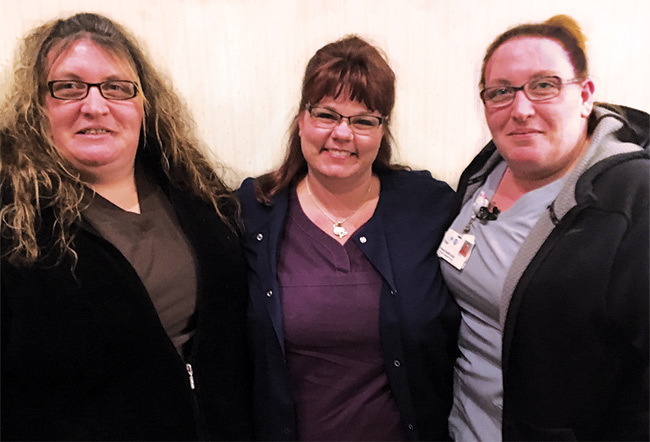 They are now united with LPNs, CNAs and resident care assistants at Samaritan, who all voted this fall to join the largest healthcare workers union in the country. As well as having a say in the workplace, the newest members at Samaritan Summit Village are looking forward to negotiating a collective bargaining agreement that will ensure regular wage increases and fair treatment of workers, that will in turn reduce turnover and enrich quality resident care. Tina Hendricks, also an HHA, said she was glad that as union members they would no longer be 'at will' workers. Long term care workers in upstate New York are increasingly coming together as union members at a time when extremist politicians and their wealthy supporters are funding attacks on working people, proposing and passing legislation in Congress and state capitals, and filing court cases at every level that are meant to divide communities, and stifle the voices of working people. “As 1199 members, we have the opportunity to speak with one strong voice and make sure our rights are protected," said Tonia Blackman, another new 1199 member activist.